The Best Shampoo For Men: Which One Suits Your Hair? Dear readers, this is Chloe with you. 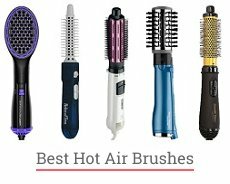 Visiting Mystraightener blog, you might have thought it cares only about women hair. And lately, I understood the truthfulness of these words. 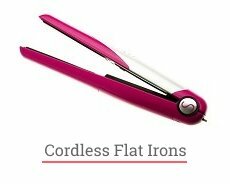 I’ve looked at all these reviews of flat irons, blow dryers, styling tips articles and found out they are generally women-orientated. All because women possess long hair that needs more care and styling than men’s. That is why on the market and on the blog as well there is the predominant majority of hair products and devices for women. But now I want to change the situation on Mystraightener blog significantly and devote the whole post to men’s hair needs. I’ve asked myself a question, what is the best shampoo for men? In the following post, we can find the answer together. Good-looking men’s hair is not just about a good haircut and an appropriate styling. Great hair starts at a shower with the right shampoo for your particular type of hair. The first thing you need to determine is what kind of hair do you own. Do you need the product for curly or thin hair? Or maybe you have a long lion’s mane which also requires special care. The next question: do you have any problems with your strands or scalp? There are plenty of men hair care issues which need to be solved with the right approach. Dandruff, thickening hair, oily scalp are the enemies of beautiful hair. In any case, you need the right shampoo to start with. For example, the best anti-dandruff shampoo for men (spoiler, the name will be revealed in the following post) can cure your itching scalp and help you eliminate snowy flakes. Losing hair? Get the best shampoo for thinning hair men to boost its growth. So stop using your girlfriend’s or wife’s shampoo. Your hair has its particular needs too. Discover those needs and figure them out with the best shampoo and conditioner for men. Are you ready, guys? Then check out my list where you can find the best shampoo (and conditioner) for men. Hope, you’ll get a bottle or two into your bathroom right after reading. 1 The best dandruff shampoo for men: how to choose the right one? 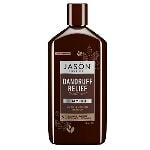 1.5 The best dandruff shampoo for men from JASON: is it worth your attention? 5 The best all natural shampoo for men, how do you look like? The best dandruff shampoo for men: how to choose the right one? Dandruff is considered to be the male hair problem much more often than a female. What’s the reason for such injustice, men may ask. There are several reasons for that. First of all, the male scalp produces two times more sebum than the female does. It leads to microorganisms breeding and causing favorable conditions for dandruff emergence. The second reason is the men’s scalp weakened barrier: men lose moisture faster than women. That is how the risk of the dry scalp and itchiness occurs. With these conditions predefined by nature, men hair care needs to be focused on scalp restoring and moisturizing, cleaning sebum and preventing dandruff. So if your shoulders are covered with snow, and it’s not winter time yet, then you need to take action immediately. Pay attention to the following products: each of them can be considered as the best dandruff shampoo for men. So which one will be your personal perfect pick? Nizoral A-D Anti-Dandruff shampoo is the drugstore product which helps reach the top results in your anti-dandruff fierce combat. Due to the antifungal components included, Nizoral primary mission is to help you eliminate dandruff immediately. Ketoconazole which is the main ingredient is a powerful component that fights itching, flaking, and scaling. So you will see the remarkable result after the first use. Use this product two times a week to proceed with the efficient dandruff treatment. Don’t be afraid of the active chemicals in the composition. 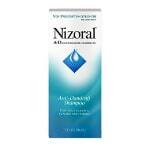 Nizoral also takes care of making your hair soft and shiny. Moreover, Nizoral A-D Anti-Dandruff is the best shampoo for grey hair for men (as well as for dyed women’s hair). Take a look at its price; it’s more than affordable. Admit, that you don’t need to spend the fortune on your hair to look good. may overdry your skin over time. From the 1960s, Head & Shoulders keeps its title of the #1 anti-dandruff shampoos brand. From its start, it was considered as the men brand, and suchlike remains nowadays. Many decades have passed from the Head & Shoulders release on the market, many products under the trademark appeared, and many dandruff problems were solved as well. If you asked a professional hair stylist what the best daily shampoo for men with dandruff is, he would answer that it is Head & Shoulders Clinical Strength Dandruff and Seborrheic Dermatitis Shampoo. At least the friend of mine gave such an answer. It really fights dandruff, as, surely, all the Head & Shoulders products do. But why is it suitable for everyday use? Head & Shoulders Clinical Strength Dandruff and Seborrheic Dermatitis Shampoo is pH-balanced, gentle, and clinically tested. Dermatologists approved its daily use after testing, so you should not be worried about overdrying your scalp. Simply use it when you need it and finally get rid of the annoying flakes! instant relief for itchy scalp from the first use. “Unleash your warrior within”, — what a nice offer from the krieger+söhne company. But how can you do it with the flakes all over your shoulders, itching scalp, and the constant irritation? The answer again comes from the krieger+söhne company. It gives you an opportunity to become an anti-dandruff warrior and win this fight dignifiedly by merely using K + S Warrior shampoo. Tea tree oil included in this product is one of the most potent natural ingredients to combat dandruff and soothe the scalp at the same time. Due to the natural origin of the shampoo’s composition and high efficiency against dandruff, K + S can easily be named the best dandruff shampoo for men. Due to its strong moisturizing properties, this K + S Warrior shampoo is really the best shampoo for dry hair men. Control sebum secretion, heal the scalp with the natural oils and get your very best experience of being a warrior. as some consumers report, the hair gets squeaky clean which is strange. The Maple Holistics is one of the top anti-dandruff brands nowadays. It presents the product line of highly efficient treatment shampoos and conditioners for men and women who try to eliminate dandruff. I have previously mentioned these products and estimated them quite high. Talking about Maple Holistics Sage Shampoo for Anti Dandruff with Jojoba, Argan, and Organic Tea Tree Oil I need to say this is the real salvation for those who are suffering from annoying flakes. Just look at its composition: the sage extract, jojoba, argan, and tea tree oils, no harsh ingredients like sulfates or parabens. 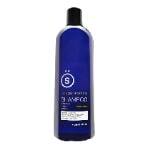 Isn’t it the best sulfate free shampoo for men? Moreover, this Maple Holistics shampoo fights dermatitis (which also can be the reason for dandruff), improves circulation, and thus stimulates hair growth. So have we found as well the best hair regrowth shampoo for men in the same bottle? brings better texture and shine to your hair. strong herbal smell that is not pleasant for everybody. The best dandruff shampoo for men from JASON: is it worth your attention? The majority of the consumers on Amazon call this JASON Dandruff Relief Treatment Shampoo the real rescue against dandruff. Its extra mild formula brings both the joy of use and the satisfaction with the result. I was definitely impressed by the well-thought-out composition generally based on the natural origin. So this product by JASON consists of jojoba, rosemary, tea tree and olive oils, aloe vera gel, seaweed extract, which are mixed all together to cure your scalp and nourish it with the right kind of components. There are no harsh sulfates, parabens, and phthalates. The perfect formulation to get rid of dandruff: from scalp dermatitis to mild psoriasis. You undeniably have to give a chance to the JASON best hair shampoo for men. No dandruff, just the soothed scalp, and soft hair, what more to wish? Looking for the best shampoo for thin hair men? You are among millions of others with the same trouble. Thinning hair, as much as hair loss is one of the most widespread men’s hair problem bringing discomfort and annoyance. There are lots of reasons for the hair to fall out or become thinner. They vary from temporary and straightforward to complex and lasting. The most popular reason for the sudden hair loss is stress. No matter physical or emotional, stress can bring you lots of troubles including hair thinning or loss. Lack of some essential microelements and vitamins is another common cause making your hair disappear. Also, men often suffer from a genetic predisposition to balding. There are also more severe explanations for why you’ve started losing your hair. Harsh and dangerous health conditions are among them. In most of these cases finding the best hair thickening shampoo for men should become your intention. Let’s try to choose the best shampoo for thinning hair men suitable exactly for you. Let me introduce you #1 bestseller in the category of hair regrowth shampoos. 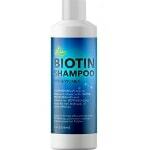 This is Biotin Shampoo for Hair Growth by Maple Holistics. What’s the secret of its success among consumers? What makes it the best thickening shampoo for men for millions of users? Is it really effective in the fight with hair loss? Again, as other Maple Holistics products, this best hair loss shampoo for men with Biotin is naturally formulated and non-GMO. It has 11 nutrient-rich ingredients of botanical origin like green tea, tea tree and jojoba extracts, coconut and argan oils, and more. Biotin, which is the main ingredient, promotes hair growth by nourishing hair follicles from the root to the tip. (Tip: Biotin is the common ingredient for the best thickening shampoo for men. So read the labels attentively). The hair after washing becomes rejuvenated and thicker than before. Another Biotin shampoo secret is to clean the scalp from DHT (dihydrotestosterone), the main trigger of making your hair thinner. B-complex brings strength to your hair. The consumers report the fantastic results from the first weeks of use. Compared to other hair growth products, this Biotin shampoo has an affordable price and can be used for all hair types. Finally, the best thickening shampoo for men for $12 per jar is found. the formula is suitable for all hair types including thick, fine, and normal density hair, as well as straight, wavy, curly, African American hair textures. It’s a shame, but I still haven’t mentioned the importance of using a conditioner in this review. I promise I will fix this issue further. But now, please believe me that using shampoo in combination with a conditioner is much better than using solely one product. Even the best shampoo for thinning hair men won’t be enough if you skip the conditioning phase. Conditioning your hair becomes even more crucial when you have severe problems such as hair loss. So here is the perfect combo of the best shampoo and conditioner for men suffering from thinning hair. Dove Men+Care Thick and Strong Fortifying Shampoo and Conditioner, as you see from its name, is meant to bring you visibly fuller and thicker hair. Infused with caffeine and calcium formula is specially developed for thinning hair to support it and give the thickening boost. As the consumers report, Dove Thick and Strong is also the best volume shampoo for men in the hair growth products category. More resilient finish after washing is guaranteed. The 2-in-1 for chicken feed? Yes, the best thickening shampoo for men regarding price is found. Dove Men+Care Thick and Strong Fortifying Shampoo and Conditioner is the cheapest solution for hair growth. prone to dry the scalp. “It’s time to love your hair again”. That’s a promotional slogan of hair growth products by Nourish Beaute. And that’s obvious, when you get thicker and stronger hair, why not love it? So the hair cosmetics by this brand provides hair loss treatment which is recognized as efficient by the majority of users. To solve the hair loss problem, Nourish Beaute uses only patented and natural ingredients. And here’s one more hair care set to call the best shampoo and conditioner for men. VITAMINS Hair Loss Shampoo and Conditioner with argan oil and biotin are clinically tested and suitable for both, women and men. In the composition of these products, you will find some precious ingredients like biotin, procapil, keratin, argan oil, apple cider vinegar, wheat germ extract, green tea extract, lemongrass, aloe vera, silk amino acids, and vitamins of different groups. It seems to me that your hair must grow faster just from reading this impressive list of hair restoration components of this best shampoo for thinning hair men. save more when purchased together. Forward-looking and even further-thinking US hairstylists once decided to establish a product line based on their knowledge and experience. They developed well-formulated products, enriched them with exceptional, pleasant fragrances, and put into authentically-looking packages. This is the short story of the R+Co (RandCo) brand which is known for its good-looking and effectively-acting hair products. Dallas Thickening shampoo brings boost and bounce to your hair. Dallas, TX is one of the fastest-growing cities in the US. Dallas shampoo is for the faster-growing hair similarly. The so-called follower of the metropolis city spirit has the unique composition as well as the excellent scent. Dallas Thickening shampoo is free of parabens, sulfates, petrolatum, mineral oil, and cruelty. It’s vegan-friendly and gluten-free. Aside from making your hair healthier and thicker, this shampoo protects it from UV and thermal impact. This best hair loss shampoo for men by R+Co is enriched with Moringa seed to protect your hair from free radicals and oxidation, polymers to create volume and reduce static, artichoke leaf extract to defend hair from the aggressive environment, and golden root extract to fight thermal stress. All in all, these components speed up the hair growth process. The best thickening shampoo for men with the prominent “Dallas” title is the perfect option to vitalize your hair. brings volume to thin and fine hair. not suitable for oily hair. Brickell is one of the fast-developing brands of men’s products founded in 2014. It produces premium skin and hair care cosmetics based on natural and organic ingredients. 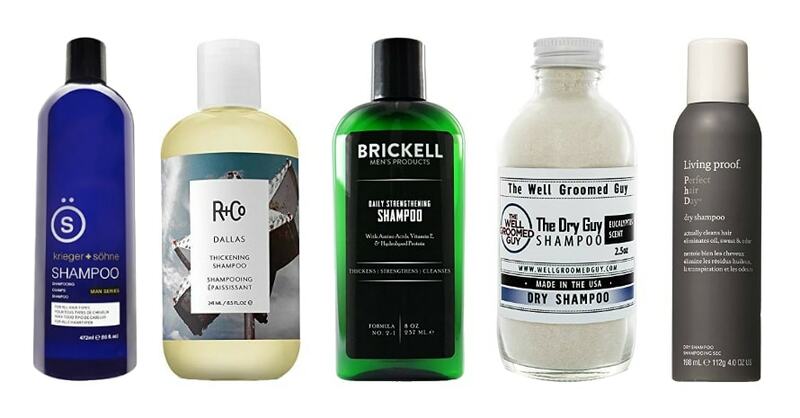 Brickell products were mentioned many times on pages of Men’s Health, Men’s Journal, GQ, and other magazines for men. You ask why? Because these products really work! So I am not very surprised to find the best thickening shampoo for men among its products. Talking about Brickell Men’s Daily Strengthening Shampoo for Men we should mention its organic origin featuring mint, tea tree oil, aloe leaf juice, lavender, peppermint and so on. The hydrolyzed proteins and amino acids are added to enhance the strengthening effect of the shampoo. Can we call this Brittle item the best organic shampoo for men due to the terrific components placed on the first place in the composition list? I think, there can be no doubt when we see the exact proportion: 97% of natural and 83% of organic ingredients in this shampoo. Brickell Men’s Daily Strengthening Shampoo for Men for all hair types and ages, safe for daily use, makes your hair stronger and fuller. brings volume to your hair and restores shine of your locks. Oily hair can be a problem. The more greasy your strands are, the more often you need to wash them. And even with the regular washings, you lack the sense of freshness very fast. How to deal with oily hair? You may think the solution is in more frequent showers, but the answer is the right shampoo. The best shampoo for oily hair men can use is made by Maple Holistics. You can find it by the title Natural Shampoo Oily Hair and Oily Scalp Treatment — Moisture Control Balance Hair Care. It contains essential rosemary, lemon, jojoba, peach kernel, basil, and Cypress oils. And do not be surprised that such a plethora of oils can save you from the problem of oily hair. All of the mentioned ingredients provide gentle cleansing to degrease your hair and scalp. Regulation of sebum secretion and maintaining moisture balance — that’s the result which is brought by this natural shampoo. Moreover, this Maple Holistics item is also the best volumizing shampoo for men as it stimulates hair growth and blocks DHT to add body to your hair. suitable for seborrheic dermatitis treatment. Have you ever tried any dry shampoos? Not many men from my surrounding have ever used or even heard about it. But I will tell you the thing which will make you like it immediately. It significantly saves your time! Whether you need to quickly freshen up your hair after the gym or at times when you overslept, this handy aerosol becomes your saver. It also resolves the problem of the second-day hair. The principle is: dry shampoo degreases your hair with special absorbents. So if you’ve finally decided to keep the hair sebum, sweat, and odor at bay, take a look at the shelf with dry shampoos. To simplify the task, I will help you by naming the best dry shampoo for men. It is Living Proof Perfect Hair Day Dry Shampoo with the patented healthy hair molecule technology (OFPMA). 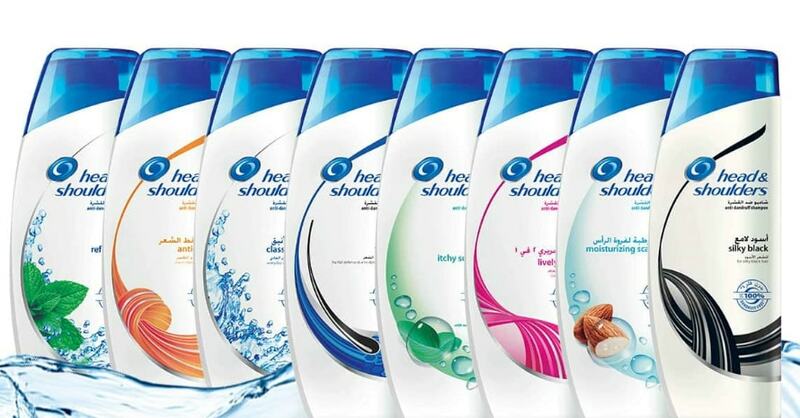 Thanks to it the shampoo won two awards in a row from the Allure magazine. This technology will take care of ultimate hair refresh. All you need to do is simply spray the dry shampoo on the roots. The triple-action cleaning technology of this best shampoo for men in the aerosol form leaves no chances to greasy hair. makes your hair healthy-looking, smoothed, and volumized. The Well Groomed Guy products are permeated with an idea of good-looking, soigne man who prefers to combine smart and sophisticated parts of his personality in the way he looks. What separates true men from boys, The Well Groomed Guy brand asks. And answers immediately: it’s the way how well-groomed you are. The Dry Guy shampoo is created with the same idea: to help you look perfectly under any circumstances. What do you need to do to reach this goal? 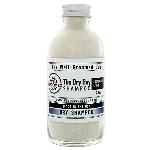 Start using The Dry Guy shampoo every time your hair gets greasy or messy. This dry shampoo by The Well Groomed Guy is not an aerosol, it’s a powder. The problem may occur with applying the powder shampoo. But over time you will get used to its consistency. The shampoo itself combines the most beneficial natural ingredients like kaolin clay, rice powder, horsetail powder, and eucalyptus essential oil. All together they absorb grease and let your hair feel fresh immediately. 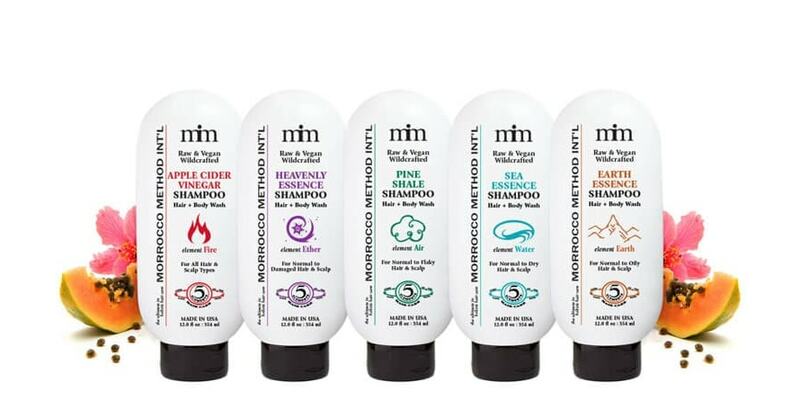 Moreover, there is also a travel-size bottle to take the shampoo anywhere you go. Freshen up your look with this very best shampoo for men for time-saving and comfortable traveling. lightweight bottle that is great for traveling. some may find its consistency inconvenient in use. The best all natural shampoo for men, how do you look like? If you are value-conscious and self-aware consumer you are always in a search of the best products inspired by nature. That means you are looking for paraben- and sulfate-free detergents enriched with the powerful ingredients of natural origin. And what can be better than all-organic shampoo? Only the all-organic shampoo + conditioner set. Here it is at your disposal: Argan Oil Shampoo and Hair Conditioner Set by Maple Holistics. This impressive duo is meant to satisfy your hair care needs and bring pleasure from using pure bioproducts. Why do I call it the best shampoo and conditioner for men? All because of the set unique composition. This Argan Oil Set is infused with argan, avocado, jojoba, and almond oils, peach kernel, sea buckthorn, botanical silk protein, and phytokeratine. Its gentle, hypoallergenic formula with no harsh chemicals brings you cleanliness and softness right from the heart of nature. Suitable for all hair types, this Argan Oil Set by Maple Holistics works perfectly for revitalizing and rejuvenating your hair. Besides, this is the best shampoo for balding men which brings the most impressive results when used as a complex treatment together with a conditioner. suitable for all hair types including curly. the watery consistency of the shampoo. What can be better for a man than using shampoo which is good for your hair and saves your time? Probably those of you who look for the natural origin ingredients in all shower products will be pleasantly surprised with this Everyone 3-in-1 Soap for Man with Cedar and Citrus. This best shampoo for men who are always in a hurry is perfect from all sides. As it combines a shampoo, a shower gel, and a shaving foam, you considerably save your time when washing. You can apply this 3-in-1 cleanser all over your body and get out of the shower in 10 minutes: freshened, shaved, and ready for a new day. Why is it so good to use as a multipurpose product? Because Everyone 3-in-1 Soap for Man contains gentle, natural ingredients delicate for your hair and skin. You will find a dozen pure plant extracts and oils which nurture and soothe the skin. There are Juniperus Virginiana, Lavandula Angustifolia, Citrus Aurantium Dulcis oils and extracts of Aloe Barbadensis Leaf, Chamomilla Recutita Flower, Camellia Sinensis Leaf, and so on. With all these pleasantly scented herbs and oils, this 3-in-1 Soap turns into the best smelling shampoo for men. Due to such a powerful natural composition, this is also the best shampoo for men who made their choice in favor of organic care products. gentle fragrance in two variants: cedar and citrus or cucumber and lemon. watery consistency so it is not economical in use. Suave Professionals presents Daily Clean Ocean Charge Men Shampoo. This is probably the most affordable male shampoo from all of the existing on the market. And believe me, I’ve looked for such an item for quite a long. About 20 cents per Fl. 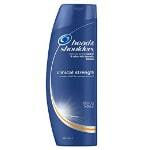 oz: this is a dirt cheap but still effective shampoo! 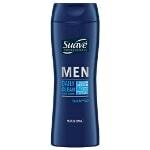 Suave Professionals Men Shampoo was designed specifically for men’s hair for daily use. Its refreshing formula is Salon Proven: the shampoo cleans, conditions, and moisturizes your hair efficiently. The manufacturer promises to bring you the ocean-fresh feeling right after use. And who will refuse to experience such a pleasant sensation? This Suave Professionals gently removes greasiness with ease. You will feel no weigh-down after use, so it is probably the best shampoo for men with thick hair. However, all hair types possessors prefer Suave Professionals Men Shampoo as the quickest and the most practical solution for everyday hair wash. This is the best everyday shampoo for men which you can get literally for change in the store. So keep a place on your shelf in the shower for this hard-nosed shampoo. may overdry your hair due to SLS included. Can I keep my dandruff at bay with the help of shampoos only? Looking for the best dandruff shampoo for men? You are on the right way to free yourself of itching and flaking. But wait a minute, that’s not the whole picture. Dandruff is a specific condition of the scalp that can be caused by many reasons. Sometimes the snowflakes on shoulders can be a consequence of an overdried scalp or inappropriate hair care. In such cases, switching to the right kind of shampoo designed especially for dandruff cure would be the thing. Often, dandruff appears as an answer to lack of some vital microelements in your organism. Normalize the diet and choose a supportive anti-dandruff shampoo to reach the result faster. Anti-dandruff shampoos act efficiently against this specific hair problem due to the powerful active ingredients and soothing components. For instance, zinc pyrithione works as an antifungal and tea tree oil as a scalp calming agent. There are lots of examples of powerful anti-dandruff combinations, just look for the best for you. In some cases, the combination of an itchy scalp and snowy flakes falling of your hair may serve as an alarm signal from your organism. Dandruff can be an indication of health issues. In such conditions, you need to consult with your doctor for getting the required prescription. Even the best dandruff shampoo for men won’t be enough when its initial cause is health-specified. Why does hair start thinning or falling? Can I help this with shampoo? The typical men’s problem regarding hair is thinning or balding. Those who suffer from any of these conditions usually experience discomfort and don’t know how to start the treatment. The primary thing is to determine the cause of hair loss or thinning. Then — taking some specific measures. There are lots of reasons for the hair to become thinner or fall out: from simple and temporary to complex and lasting. In the US, the most common reason for hair loss both among men and women is hereditary hair loss: approximately 80 million of the Americans suffer from this particular type of hair loss. If you suddenly started to lose more hair than usual, think about the latest events. Have you experienced some physical (severe disease, surgery, and even flu) or emotional stress lately? If the answer is affirmative, you might be suffering from a temporary hair loss. The problem can be solved with the elimination of the trigger and appropriate hair care. Among other reasons causing temporary hair loss are lack of protein or some vitamins (especially, of the B-group), iron deficiency, sudden weight loss, and even over-styling. Revise your diet or some habits and wait for some time for hair regrowth. Except for temporary reasons, there are severe health conditions or male pattern baldness that cannot be cured but only suspended by care products and usually need medical intervention. Only by knowing the cause you can treat hair loss. You need to find out why your body shut down hair growth and choose the appropriate solution for the situation. So if you’ve just noticed your hair thinning or falling, think of the possible cause. If it is not health-connected the best hair loss shampoo for men can become your rescue. Choose the one for your hair type and the complexity of a problem in the list “The best hair loss shampoo for men”. Buy it and use it, as it really works! What’s the principle of action, you may wonder. The best hair loss shampoo for men helps your hair get thicker due to boosting the molecules responsible for hair growth naturally. There is a certain amount of follicles on your scalp, and it will remain the same even after the thickening shampoo use. But the damaged follicles will be uncluttered and activated to give each strand a new life. That is how the components of every best hair regrowth shampoo for men work. So use the right kind of shampoo to stimulate hair growth and combat baldness simply by washing. Why use a hair conditioner and what are the 2-in-1 shampoos? There shouldn’t exist a question to use or not to use a hair conditioner. The answer is obvious: your hair needs it! The American Association of Dermatology recommends you not to skimp on hair conditioner. This step is necessary as it meant to bring your hair healthier and shinier look. Hair conditioners are developed primarily to protect your hair and prevent its damaging. When you think that skimping on conditioning saves your time, you make a blunder: you leave hair cuticles unprotected after washing. So they become more vulnerable to the outer impact. You need to admit that shampooing hair is a pretty rough procedure. So you need to smooth your hair right after washing. The right kind of a conditioner for your hair type is going to become a game changer. By using a hair conditioner, you will significantly improve the condition of hair (the results will be even more noticeable when the hair is damaged). This care product protects hair cuticles, decreases statics, replenishes the needed oils and moisture rinsed by shampoo, and so on. A hair conditioner protects your hair from most of the environmental factors like, for example, UV rays. Even when using the best moisturizing shampoo for men, you won’t get your hair so moisturized as with a conditioner. If you think you’ll need to fuss much with a hair conditioning, think of the benefits it gives. Few extra minutes in the shower are going to improve strength and increase the shine of your hair. If you are still hesitating on making your shower routine longer, 2-in-1 products are at your disposal. Look for the bottles with such an inscription to make your life easier. By using the 2-in-1 shampoo and conditioner, you won’t compromise conditioning and won’t spend any extra minute in the shower. What a nice option to try! So many men, so many minds. And so many shampoos and conditioners as well. In this post, I’ve decided to find the best shampoo for men, and I am once again convinced: every man needs his specific product. Whether you have some scalp problems or wearing a long ponytail, find shampoo regarding your hair needs. In the first case, look for the best shampoo for dry scalp men, in another example, get the best shampoo for men with long hair. Everything seems so obvious, but we make mistakes. Don’t worry; it is normal to spend some time choosing the shampoo which will be perfect for you. Hope with the list of the best shampoos and my specific washing recommendations, you’ll find a decent product very soon. Or maybe have you already found it? Please write in comments which shampoos do you prefer for washing. Do you skip conditioning or thoroughly apply products for moisturizing and nourishing your hair? Share your opinion about the best shampoo for men in comments. Maybe you have just found some rarity I’ve missed. It will be great if you cut this pie with all the readers.